Thousands of Postcards and Paper Ephemera, Coins, Stamps, Bottles, Photographs, Comics and collectibles. Just 20 minutes west of downtown Denver! 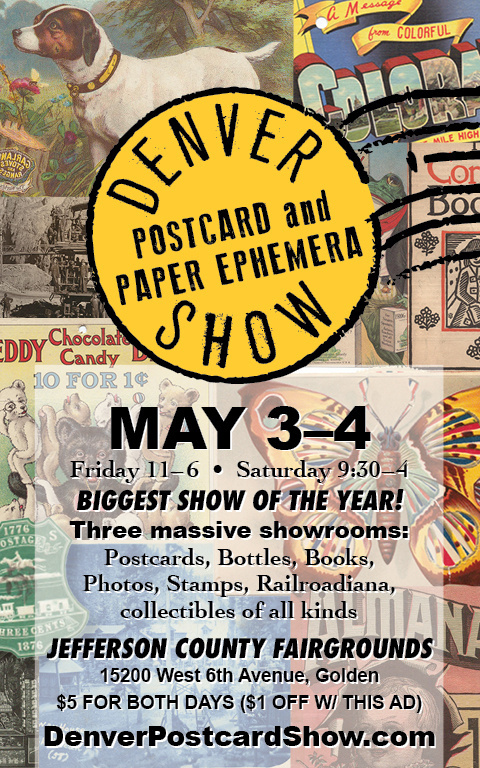 Copyright 2017 Denver Postcard & Paper Show, All rights reserved.